Air-con weather, the preceding coffee culture, friendly locals, kangaroos – it is easy to see why many are so enraptured by the buzzing city of Melbourne. But what we love most about the city and its homeland of Australia is the exhaustive range of honest, holistic, fresh produce. Aside from getting a kick out of grocery shopping, the homegrown, high-quality crop of joyful greens, dairy, meats, and seafood has also played an essential part of moulding the gastronomic empire that Melbourne is so lauded for. 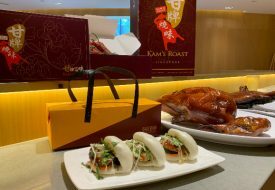 So what’s a Singaporean foodie gotta do to have a taste of this said empire? 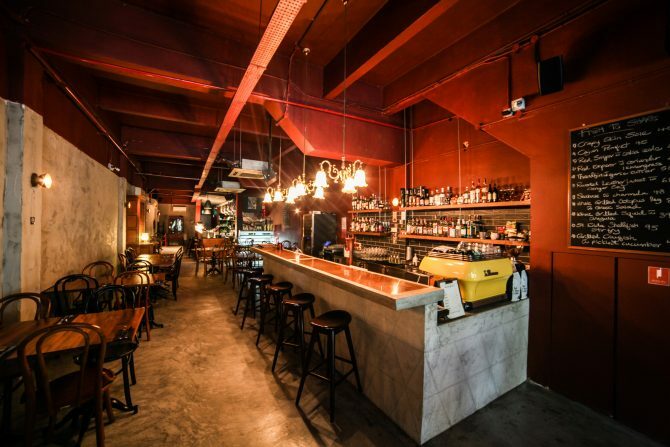 You can start by easing into the newish Claypots Full Circle, a first outpost of the original from down under. The culinary direction remains the same: Seafood that holds both West and Southeast Asian flavours. 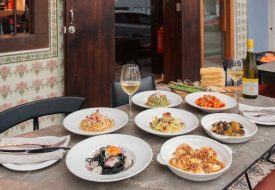 For one dish that feeds all, look to the blackboard special St. Kilda Shellfish Stir-Fry (Market Price). 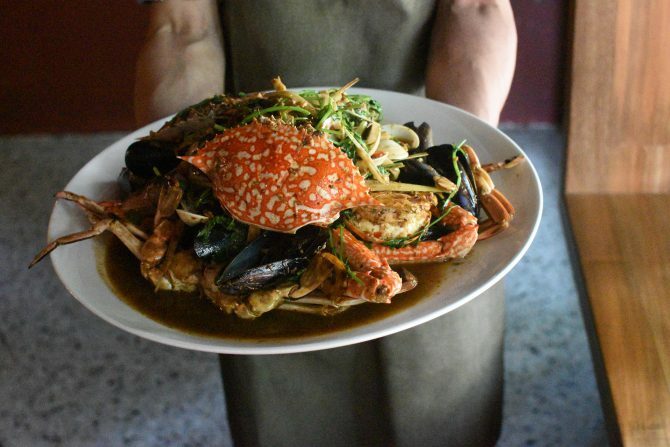 You’ll need at least four, if not five mates to wallop the massive serving of flower crabs, mussels, clams, huge prawns that have been stir-fried in a wok. The seafood medley and the natural juices that have been coerced out of during the wok-toss are then laid on a hill of rice. A spicy house gravy is then later doused all over. Messy and marvelous, the stir-fry, which we like to think is a cross between a seafood platter and a seafood boil, truly makes one for the memories. A toned-down version of the monstrous stir-fry can be said to be the Moroccan Claypot ($26). 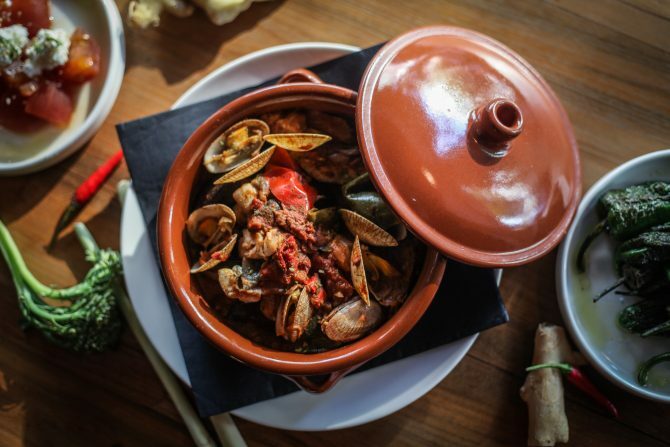 A fitting dish for a restaurant named Claypots, the claypot bears the oceanic treasures of plump flounder fillets, mussels and clams cloaked in a harissa-kissed, tomato-based sauce. Couscous and an array of heartier greens such as peppers, eggplants and zucchini are added into the mix to keep you stuffed. 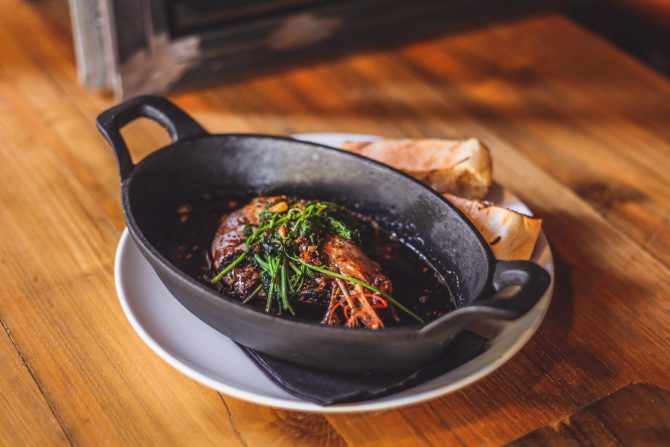 For other bites that impressed, look to the likes of creamy Cheese Saganaki ($15) that sport a nice caramelised coating for sweetness to the salty makeup, and the Garlic Prawn (Market Price) presented in a sizzling plate and a side of flatbread. The massive and meaty prawns are served luxuriating in their own juices, further elevated by olive oil, garlic, and coriander. While the coriander has certainly divided many with its controversial taste profile, we love the earthiness it adds to the zhap, which we sop up bone-dry with the bread. 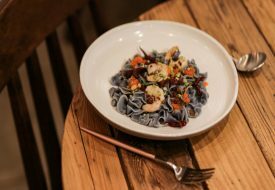 While seafood fare is not an uncommon thing in Singapore, Claypots Full Circle offers a unique and delicious take that warrants a visit if you’re hankering for something from the ocean. Do note that the restaurant also comes with a bar, so you can certainly knock back on booze and cocktails such as The Coffee ($22) of bourbon, Espresso, and Maraschino cherry syrup, to lift spirits up.